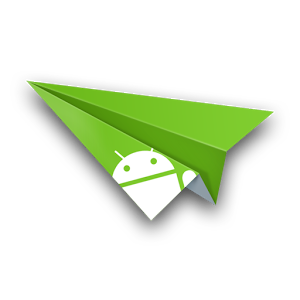 We've already covered the beta, but now AirDroid 3 is available as a completed release on the Play Store. The new app has an updated UI and a few new features, but the biggest change is the addition of stand-alone clients for Windows and OS X, besides the app's famous desktop browser management. 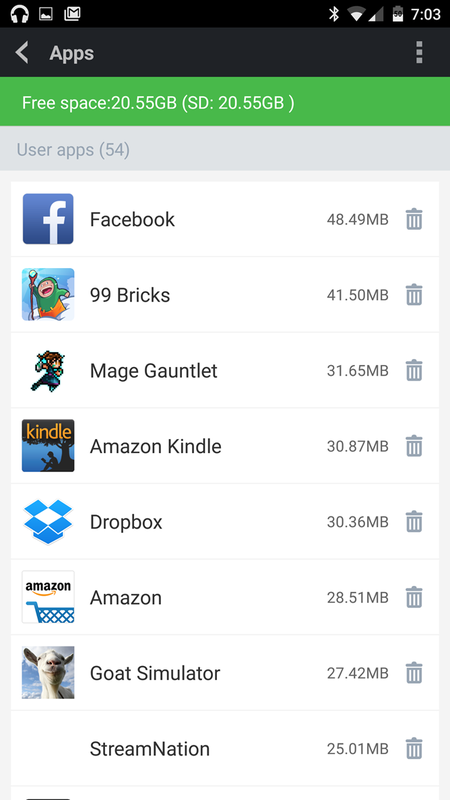 You can grab the desktop apps from here. 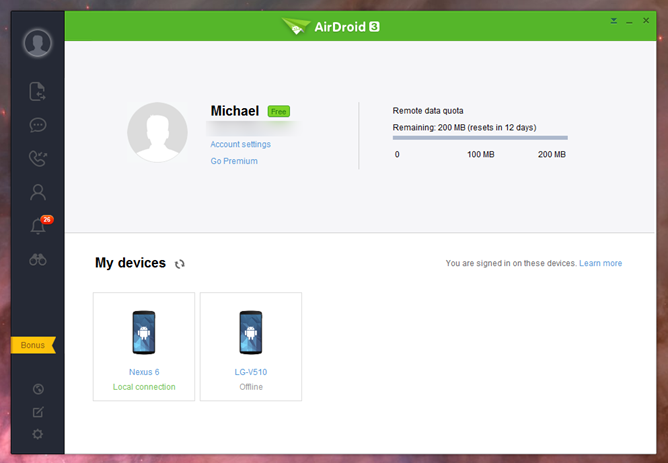 The Windows and OS X versions of AirDroid let you do pretty much all of the things you could do in the browser, albeit without the "virtual desktop" interface: send and receive SMS, file transfers to your device, contact and call log access, and of course, notification mirroring for your laptop or desktop, including call alerts. The desktop version supports screenshots (but not on Android 5.0 just yet) and a low-fi screen mirroring window, though full remote control isn't in the cards. 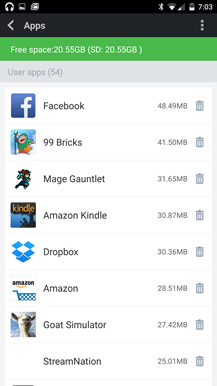 Other tools like a device locator on the desktop and web, and RAM management and tethering on mobile, make AirDroid one of the most well-rounded tools available. 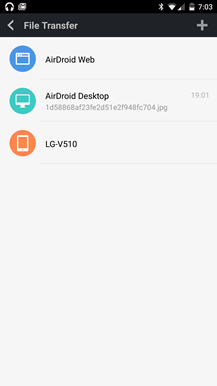 AirDroid is free to use on local networks, and you can use the AirDroid account system to connect up to two accounts and access devices on mobile or remote networks with a 200MB data limit. 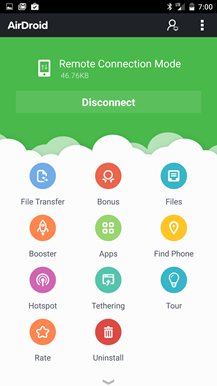 For up to six remote devices and unlimited file transfers, not to mention extra features like remote camera viewing and folder uploads, you can spend $1.99 a month or $19.99 a year on a premium account. 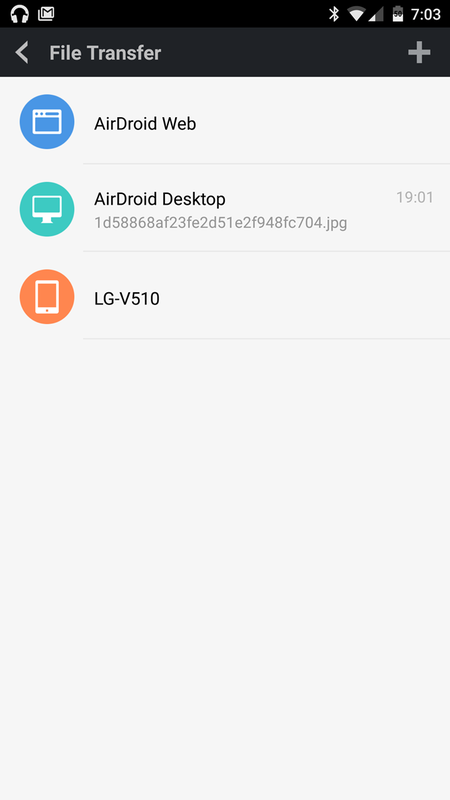 To celebrate the release of AirDroid 3, the developers have graciously reserved 100 AirDroid Premium one-year upgrades for Android Police readers. Just comment on this story (right down there) and we'll choose 100 readers at random for a free Premium account. Please note that we'll be contacting you via the email address associated with your Disqus commenter account (don't put it in the comment itself!). If you've used an old or inactive account for Disqus, you may want to change it in your account settings menu. Get your comment in before midnight, Pacific Time on December 10th to enter.